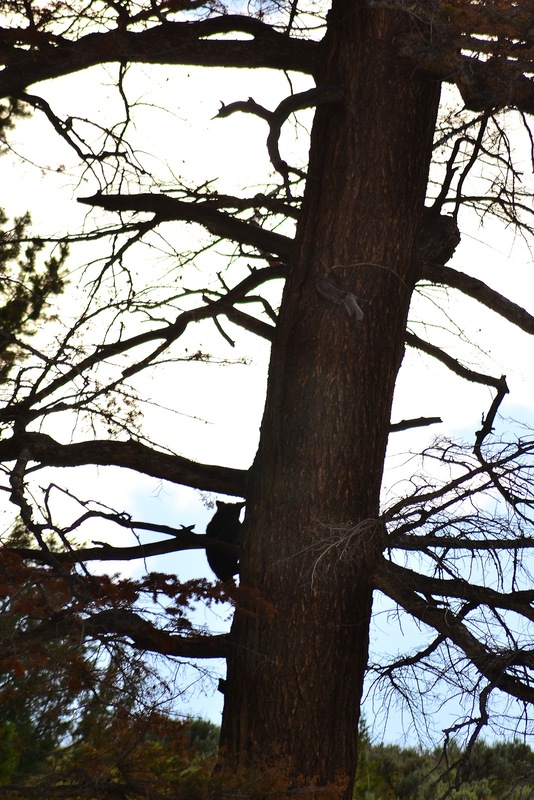 animals are out in full. 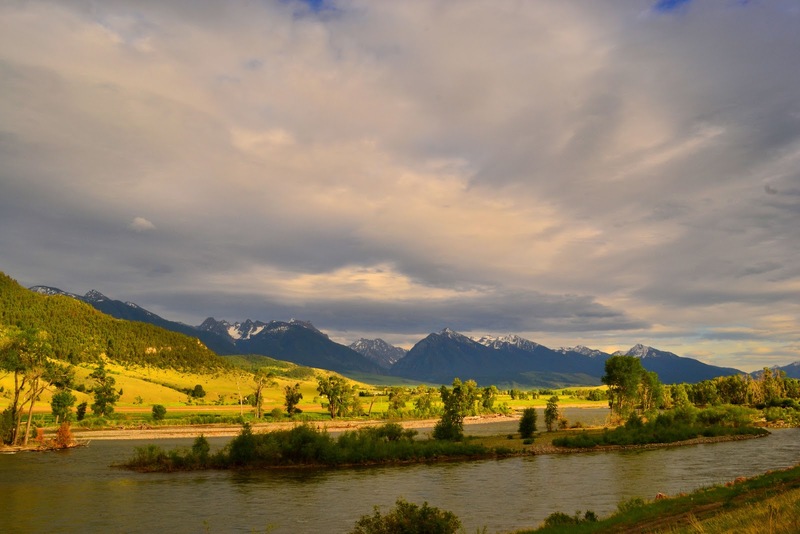 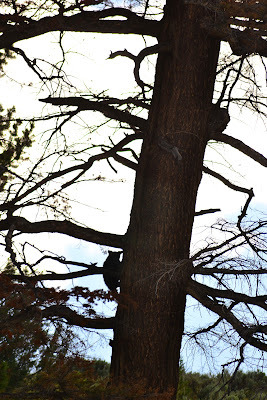 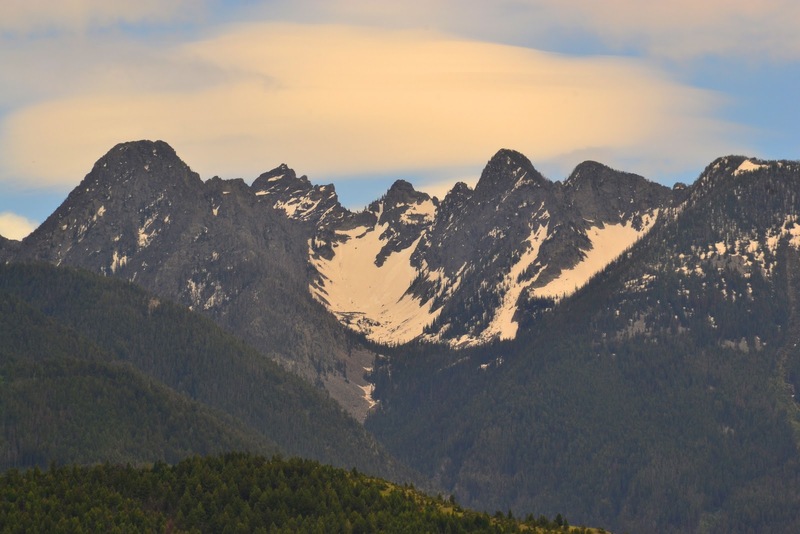 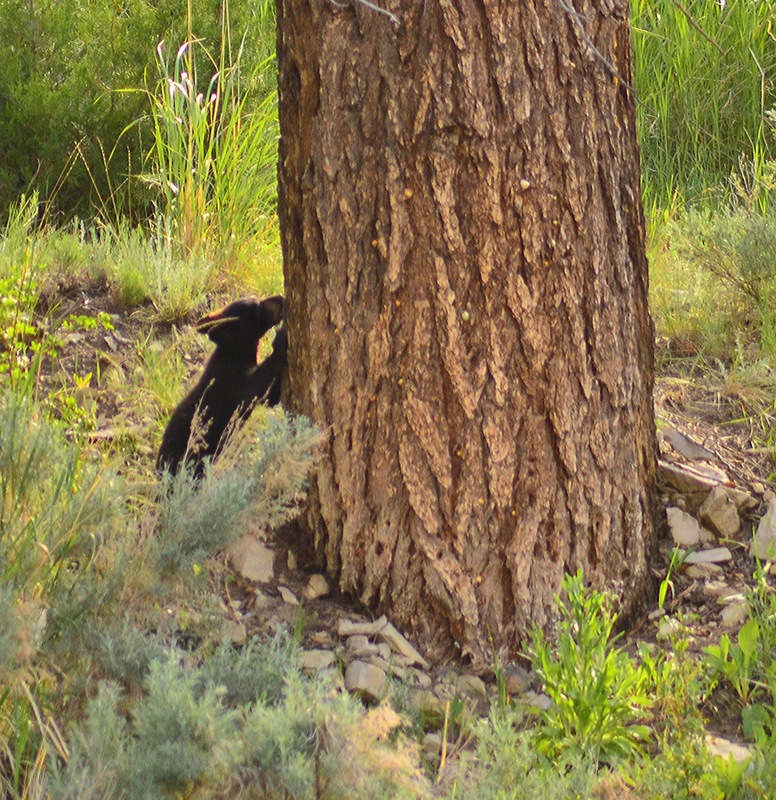 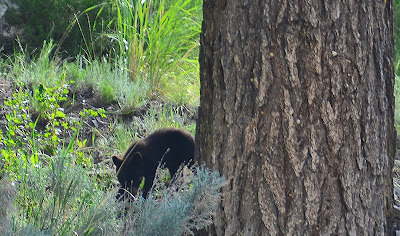 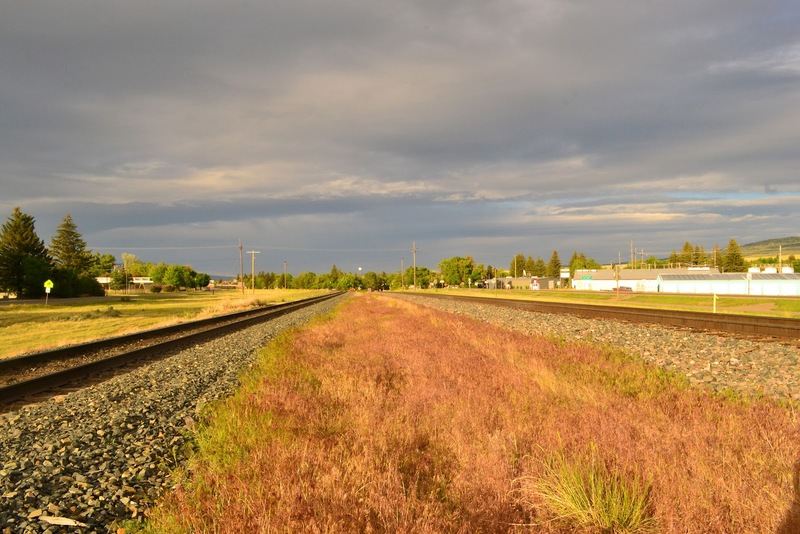 Baby bears, elk, snake, geese and a mountain blue bird make up this weeks posting along with a few landscape shots of the natural beauty of this area. A large family of geese head down the Yellowstone River on their way to better shores. 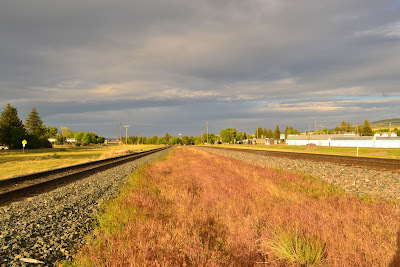 This is my shortcut crossing for my bicycle going from Downtown Livingston to the hill I live on in North Livingston. 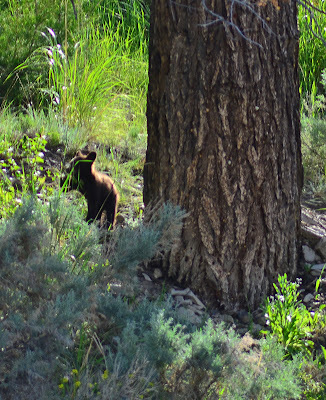 Every house seems to have a rabbit hanging out eating the flowers like this hare up in Mammoth Hot Springs in Yellowstone NP. 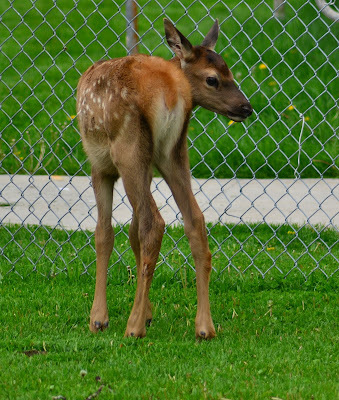 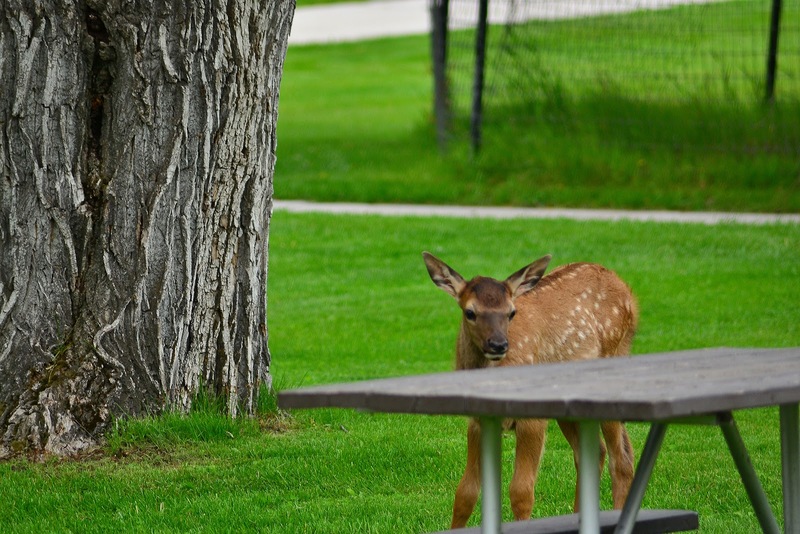 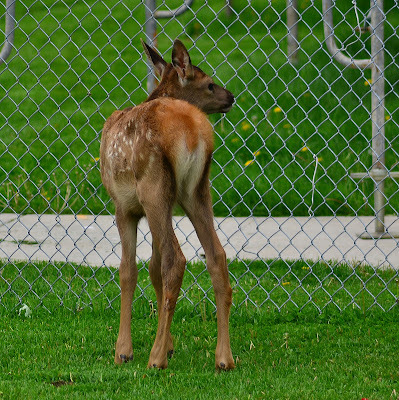 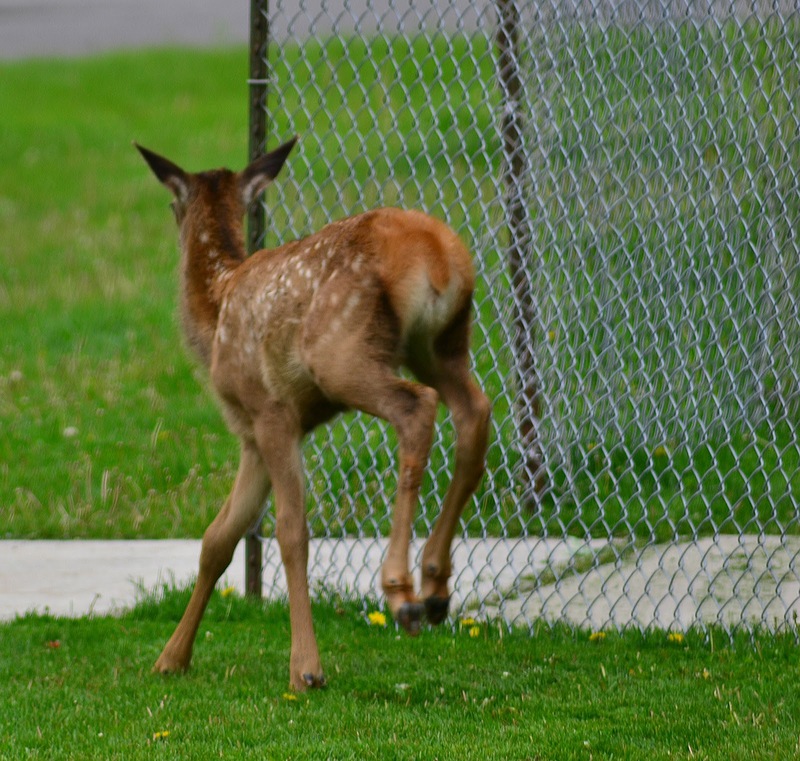 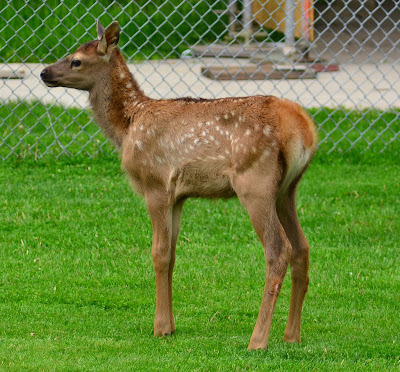 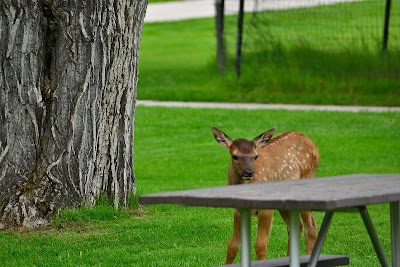 This elk calf came over to eat some sweet grass and hang out in the shade of the large building in Mammoth Hot Springs. 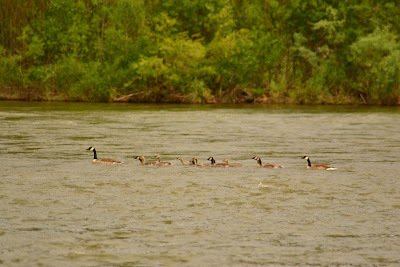 and then took off back to momma! 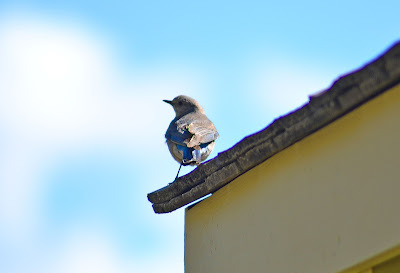 This is a Mountain blue bird that hangs out often where I am working. 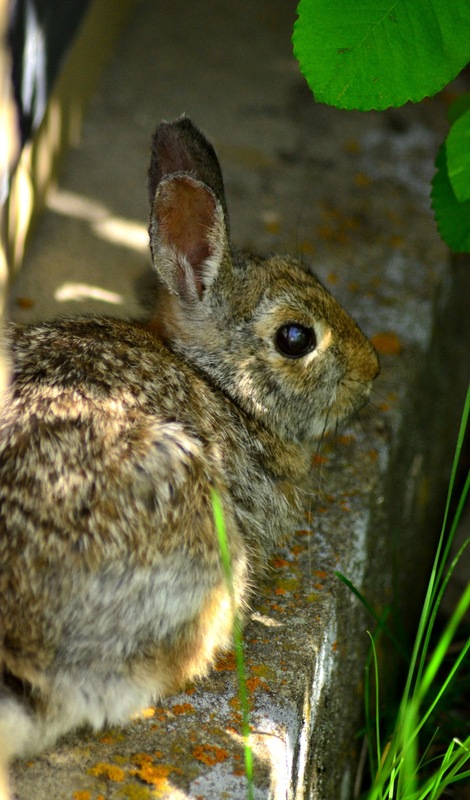 at the colony of ground squirrels nearby it's hide out in a drainage pipe along the road. 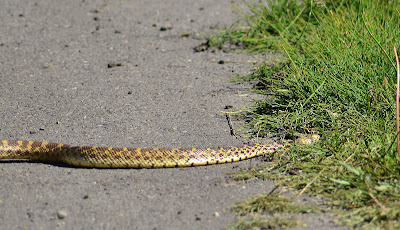 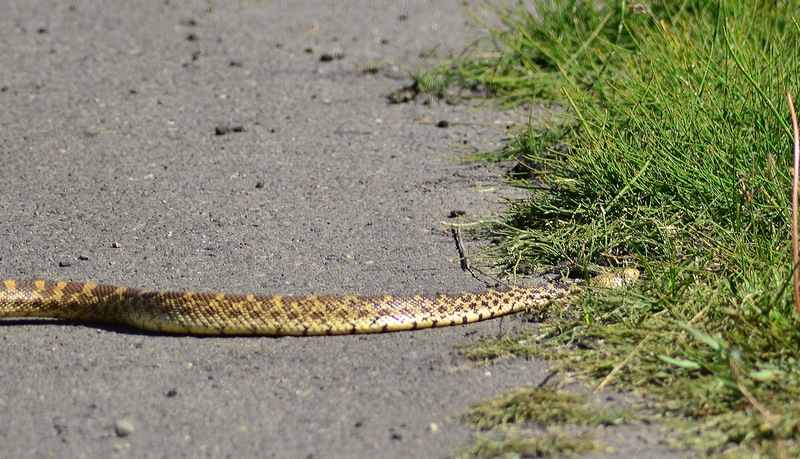 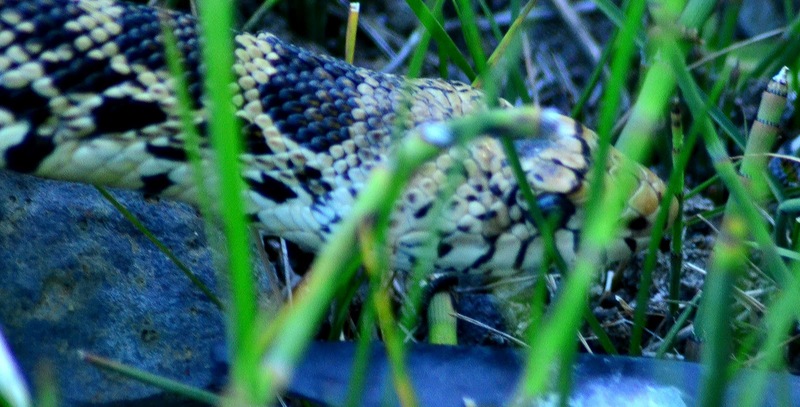 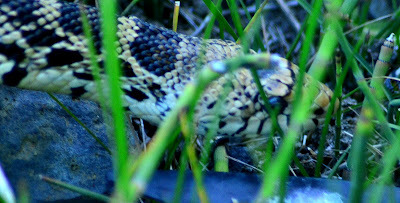 Bull snake on the prowl for unsuspecting ground squirrel prey. 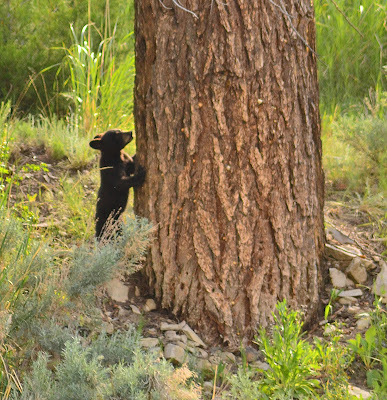 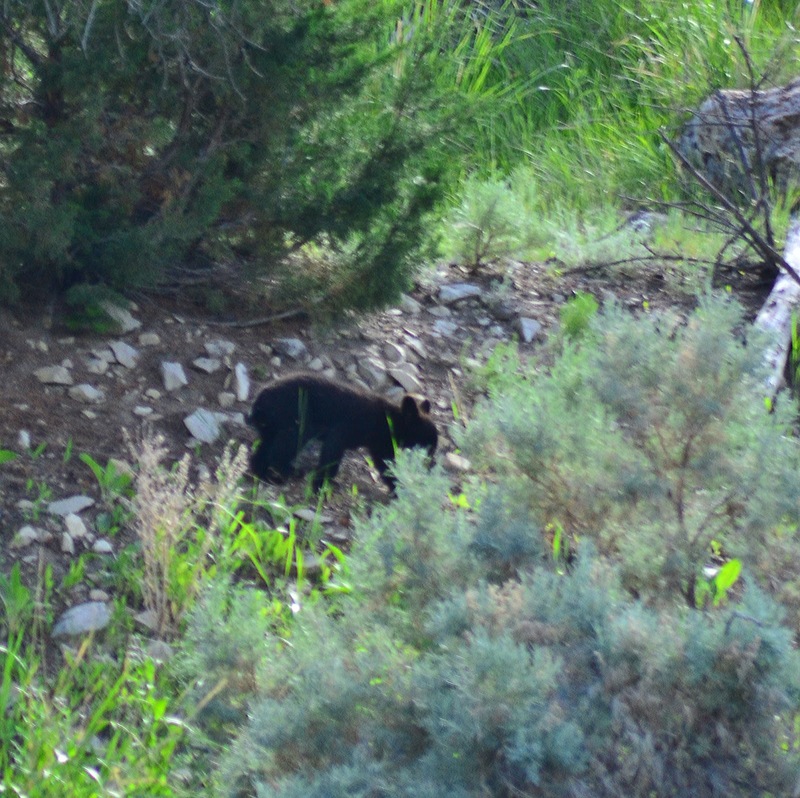 These family of black bears was spotted in the Lower Mammoth residential area. 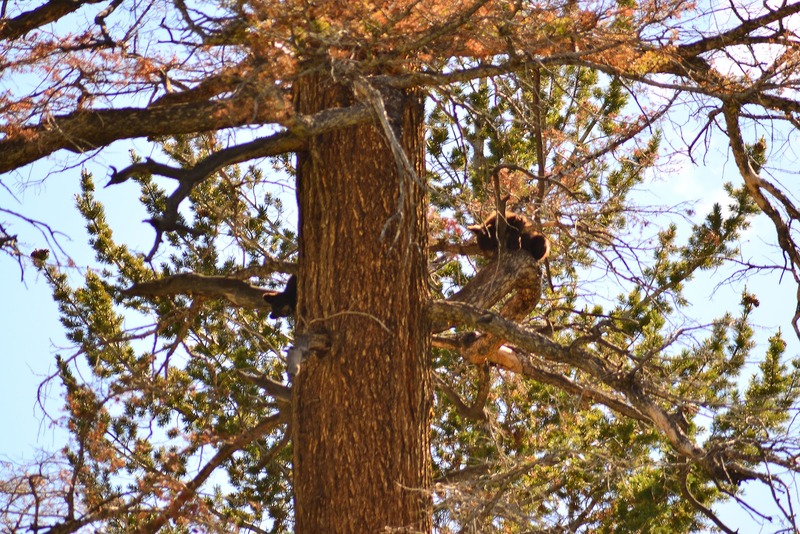 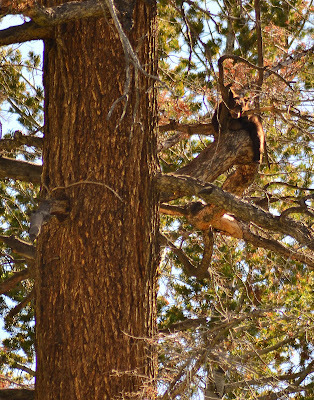 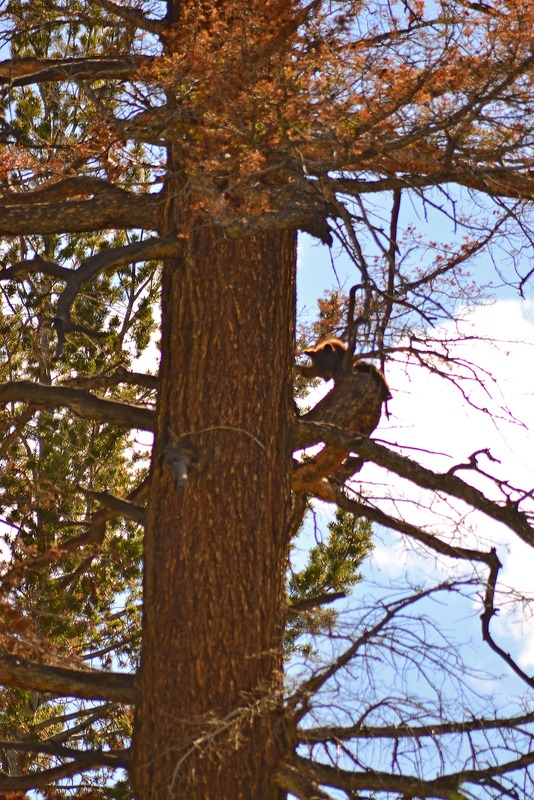 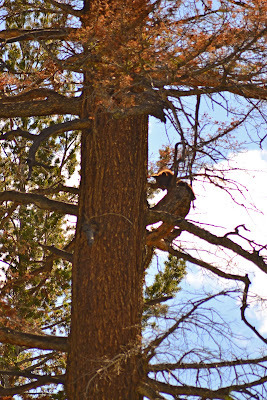 While the mother slept in the shade of a big tree the two cubs literally hung out in another large tree. 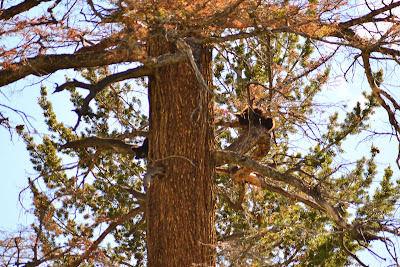 Notice the two cubs making their way up the tree? This little fella seemed to be checking me out down below and just sort of hanging there.